Notes: A joint Australia/UK release - tributes to Rolf Harris collected by Shitmat over a period of 3 years, then selected by native Australians Rank Sinatra and Toecutter for this CD release. 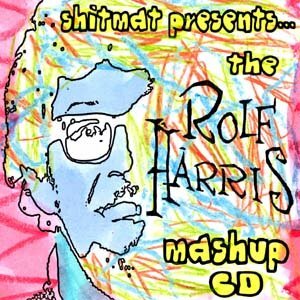 32 mad breakcore mashups of songs and themes based on australian icon Rolf Harris, Don't we love him? The Panacea - Carborundum 12"